Buddhism Religion in India, Gautama Buddha, Enlightenment, The Doctrine of Buddhism, The Eight fold Path, Buddha Event and Symbol, Buddha’s Noble Truth. Buddhism as a religion and philosophy encompasses a variety of traditions beliefs and practices, largely based on the teaching of the Buddha. 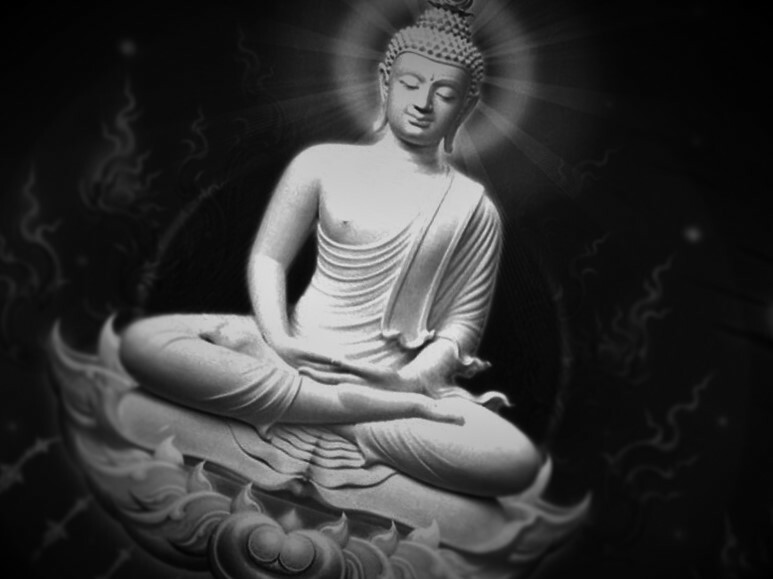 The childhood name of Buddha was Siddhartha. He was born in 563 BC in Shakya Kshatriya family in Lumbini in Nepal near Kapilavastu. His father Shuddhodhana was the elected ruler of Kapilvastu and headed the republican clan of the Shakyas. His mother Mahamaya was a princess from the Koshalan dynasty. He was taken care of by Mahaprajapati Gautami. He was married at the age of 16 to yashodhara, the daughter of a neighbouring chieftain. His son was named Rahul. Siddhartha was moved by the misery of the common people in the world and looked for its solution. At the age of 29, he left his home. He kept on wandering for about 7 years and then attained knowledge at the age of 35 at Bodh-Gaya under a Pipal tree. From this time, he began to be called as the Buddha. Gautama Buddha delivered his first sermon at Sarnath in Banaras. He undertook long journeys and took his message far and wide. He kept on wandering, preaching and meditating continuously for 40 years, resting only in the rainy season every year. His missionary activities did not discriminate between the rich and the poor, the high and the low, the men and women. Gautama Buddha passed away at the age of 80 in 483 BC at a place, called Kushinagara, identical with the village called Kasia in Deoria district of Eastern Utter Pradesh. The Buddha was a practical reformer. His primary aim was to secure deliverance from the grim reality of sorrows and sufferings. So, he pronounced the four Noble Truths (Arya Satya). 2. This suffering has erupted from desire. 3. Suffering must be got rid of, so one must let go of the desires. 4. In order to get rid of suffering, one must know the right way, called the Middle Path. The Middle Path avoided the two extremes- the attachment to worldly pleasure and the practice of self-mortification. The guiding principles for this path were embodied in a series of precepts, which came to be referred to as the Eight-Fold path or the Ashtangila marga leading (as believed) to wisdom, knowledge, enlightenment and release. The Four Noble Truths thus include. 1. Sorrow (DukKha) world is full of sorrow. 3. Cessation of sorrow (Dukkha nirodha), is possible. The Buddha laid emphasis on self-effort and argued nothing to be left to the divine intervention. It rejected the concepts of the transmigration of the soul. The Buddha also laid down certain Silas or rules of conduct for his followers-non-injury, no destruction of life, no stealing, no use of intoxicants, no lying, no magic, ritual or worship etc. Buddhism too appealed to the socially downtrodden classes, especially the Vaishyas, who were striving for an equal status. Buddhism spread in urban centers and also won ever the patronage of many states.